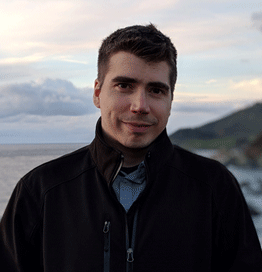 Olivier Bilodeau currently leads the Cybersecurity Research team at GoSecure. With more than 10 years of infosec experience, Olivier has managed large networks and server farms, wrote open source network access control software and recently worked as a Malware Researcher. A passionate communicator, he has spoken at several conferences such as Defcon, Botconf, SecTor, and Derbycon. Invested in his community, Olivier co-organizes MontréHack—a monthly workshop focused on applied information security through capture-the-flag challenges. He is also in charge of NorthSec’s training sessions and is hosting NorthSec’s Hacker Jeopardy. His primary research interests include reverse-engineering tools, Linux and/or embedded malware and honeypots. In his spare time, Olivier likes to participate in information security capture-the-flag competitions, work on various open-source projects and brew his own beer.